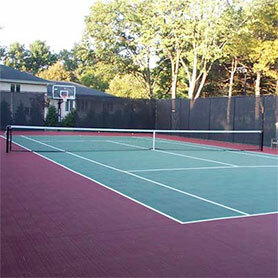 Sport Court of Massachusetts Tennis is the only national company that can provide a total solution to your tennis court building and resurfacing needs. From tennis court resurfacing to tennis court construction, Sport Court advanced tennis systems provide safe, long lasting surface options that reduce or eliminate the constant repairs, maintenance, and cracking associated with standard acrylic courts. 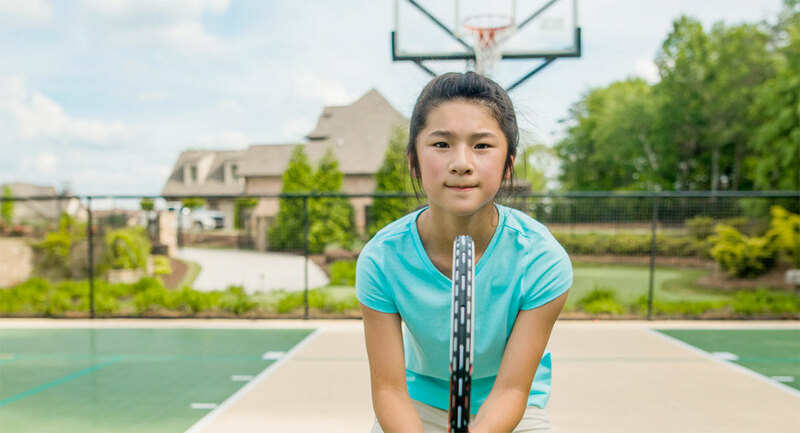 Our certified Tennis Court Builder network is the largest in the industry, and they are dedicated to providing you a long lasting, low-maintenance tennis court. Whether you choose our Suspended Surface, Power Game, Premier Court, Guardian Crack Repair or Cushioned Acrylics, our systems have longer warranties against cracking. We custom build 36’, 60’ and full-size tennis courts for homes and tennis facilities and are ready to customize any court to match your needs. 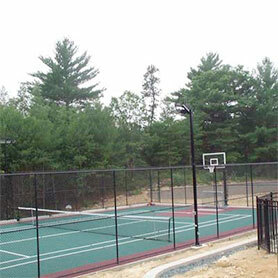 In addition to designing and installing tennis courts, our CourtBuilders™ also specialize in backyard basketball courts, multi-sport game courts, volleyball courts, futsal courts, roller hockey courts, netball courts, handball courts, and putting greens.